America’s Got Talent Season 12 Live Shows Quarterfinals Week 2 returns tonight, Tuesday, August 22, 2017. Taking the stage to perform tonight are hip-hop dance group Brobots & Mandroidz, singer Celine Tam, escape artist Demian Aditya and magician Eric Jones. Singers Evie Clair, Johnny Manuel, dance group Light Balance, deaf singer Mandy Harvey, dancer Merrick Hanna, vocal duo Mirror Image, Pompeyo Family Dogs and vocal group The Masqueraders. Seven acts will make it through to the semi-finals, while five will be eliminated. 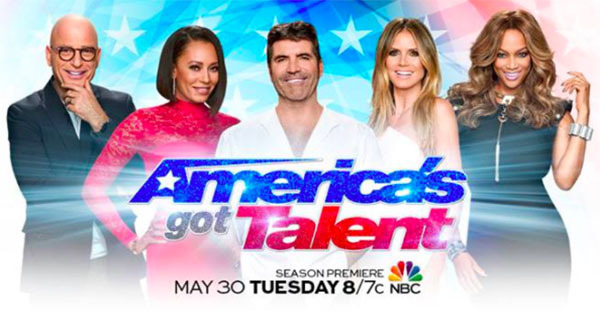 America’s Got Talent Live Shows airs straight from Dolby Theater in Hollywood at 8/7c on NBC.